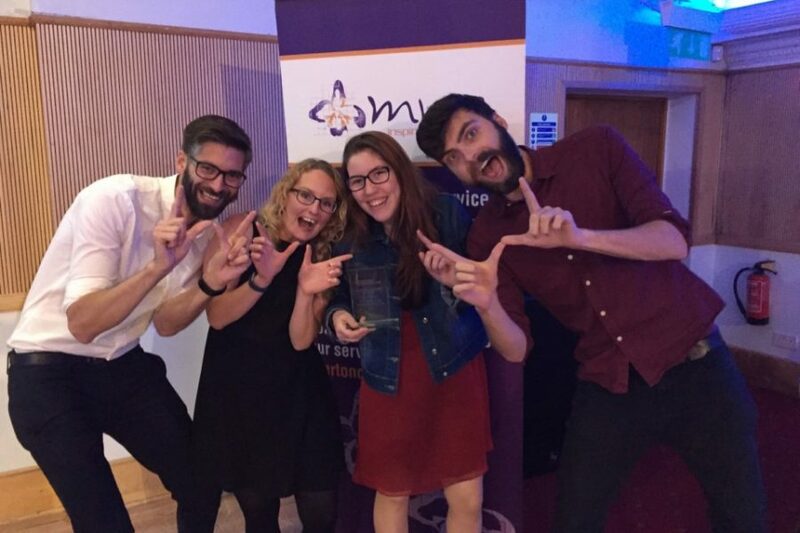 We’re thrilled to announce that one of our volunteers at YMCA John Innes in Wimbledon has been awarded Gold for Merton’s Volunteer of the Year Award. In 2015, Cat Tanganhito become a young volunteer after attending youth clubs at YMCA John Innes for over five years. She is responsible for set-up of all the music equipment, welcoming and hosting and supporting the many challenging needs our young people are facing. Cat has helped hundreds of young people develop their musical abilities through co-leading our ‘Jam’ sessions at Music Room, and afterschool music club for young people aged 11-19. She sets up the equipment, runs the sound desk as well as teaching individuals how to play music. Cat says: “I never expected to win the gold award but when I did I was excited and proud of myself for achieving this”.